America’s favorite and the original Frisbee Dog Show since 1982. 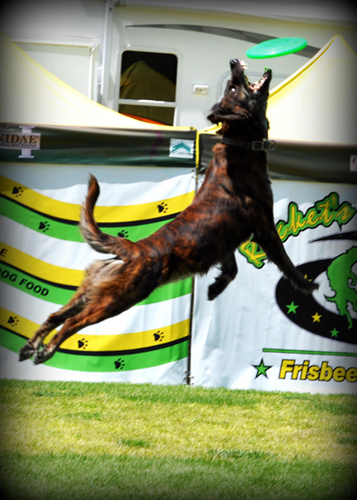 Nobody can duplicate the excitement and enthusiasm always generated by Rocket’s K-9 Comets. Rocket Hoskins is the charismatic “human star” of the show, with three World & six National Frisbee Championship titles among his extensive credentials. They perform at NFL and NBA half time shows, state and county fairs, festivals, and special events. They have been on The Today Show, CNN, MSNBC, Fox News just to name a few.